On 24 February 2016, Lviv Circuit Administrative Court adopted a decision in EPL’s case against Mykolayiv regional administration of water resources and found unlawful refusal of the administration to provide EPL with information contained in water report (2-tp) as confidential information, and in this way confirmed openness of this information. Ensuring access to such information is very important because the price for conceived information can be human health or even life. Reports on use of water are submitted by respondents (enterprises) that intake water from or dump water into natural water bodies. This is primary information that shows the level of water intake and pollution by enterprises of natural water bodies where the enterprises dump their waste. The report indicates what enterprise dumps what amount of reverse water, what amount of reverse water is dumped without purification or with insufficient purification, content of pollutants in reverse waters etc. 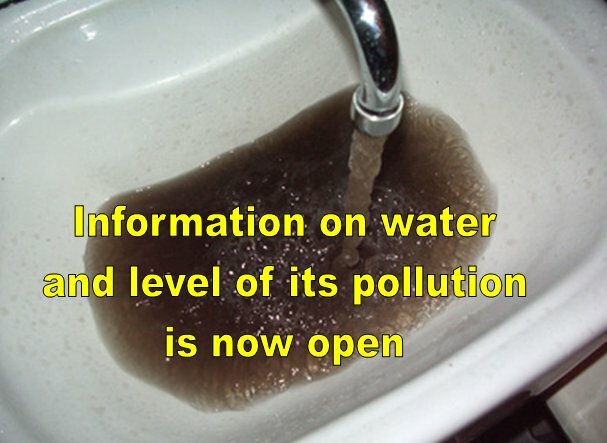 Information in the report shows what harmful substances and in what amounts are dumped into water objects and therefore can reach private water wells and sources of drinking water and in this way have impact on human health. Such information is environmental and access to it cannot be limited. Despite this, EPL’s request to provide in electronic form information from 2-tp form submitted to the water administration in 2014 by Mykolayiv communal enterprise “Mykolayivvodokanal” (Mykolayiv) was declined. In reply to EPL’s request, Mykolayiv regional administration of water resources informed that form2- tp of Mykolayiv communal enterprise “Mykolayivvodocanal” for 2014 is statistical information on use of water and according to Art. 21 of the Law of Ukraine “On state statistics” it is prohibited to disseminate statistical information that can serve as the basis for finding confidential statistical information on particular respondent. Therefore, Mykilayiv regional administration of water resources recommended to address directly Mykolayiv communal enterprise “Mykolayivvodocanal”. EPL did not agree with such a reply because the requested information is information on the state of environment (environmental information) and contains data on impact caused by enterprises on water objects and the level of their pollution and thus according to p. 3 art. 13, p. 1 art. 21 of the Law of Ukraine “On Information” cannot be limited in access. On 25 December 2016, EPL filed a suit challenging the refusal to provide the requested information. But even before the hearing of the case in court the Mykolayiv administration of water resources changed its position regarding limitation of access to such information and sent the requested information to EPL’s email account. Moreover, the administration fully recognized EPL’s requirements. Also, the suit requirements were fully recognized by the State Water Agency of Ukraine that was in the case the third party on behalf of the defendant. It is for the first time in EPL’s practice that public authorities recognized their mistakes. Having taken into consideration positions of parties, the court fully satisfied suit demands of EPL. It is important to mention that territorial branches of the State Agency of Water Resources of Ukraine have different practice of using the Law of Ukraine “On Information” and the Law of Ukraine “On State Statistics” in giving access to environmental information in 2-tp reports. We hope that the case will put an end to the uncertainty and will protect not only EPL’s right to such information but also rights of other requestors. Openness of such information will help ensure access for the public to information on water quality and prevent possible adverse impacts.